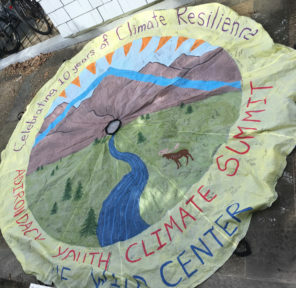 The Adirondack Youth Climate Summit combines informative plenary sessions and interactive workshops in a fun atmosphere for a powerful 2-day educational experience leading to changes in the lives, schools and communities of young people working towards climate resilience. Students come away with a Climate Action Plan that includes sustainable solutions and actions they can take in their schools to reduce the threat of climate change and make a positive difference. 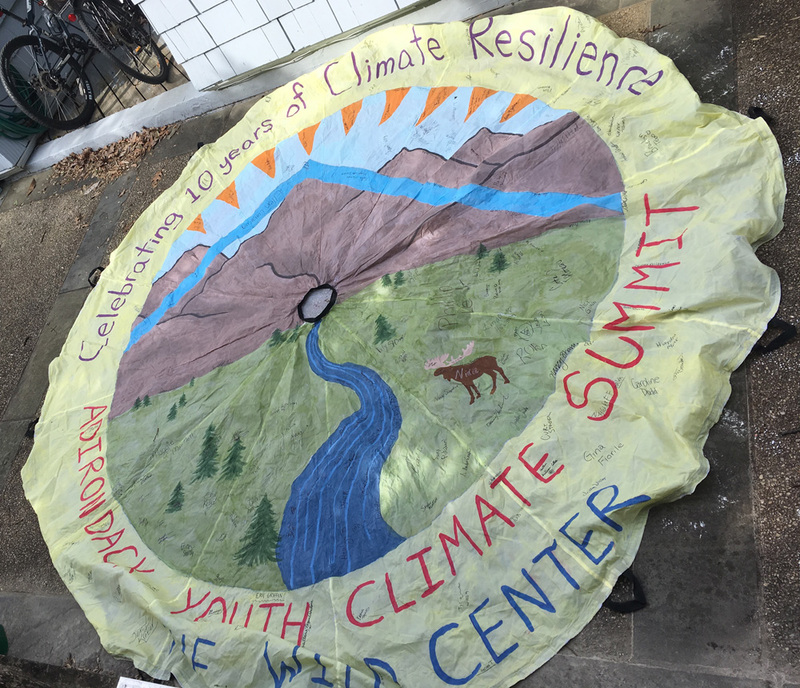 Participants created a parachute together during this summit.